Getting a laptop PC, now also known as notebooks for you or your loved ones is like a piece of cake nowadays. However, the real problem is when you need something more than one just ‘usable’ notebook for you. Suppose you are going to join a Computer Science Engineering course or a Virtualization Certification Course next month and want to purchase a laptop for you. What if you want a proper gaming laptop, we guess that a normal $400 laptop will not be adequate for you. Soon you will be getting confused about which laptop and which kind of notebook you should get. First, let us analyze the different choices and aspects of buying a notebook and we hope that it would be useful if you are in a plan to get a notebook for the days ahead. It does not matter which OS is powering your Notebook. This means that at least right now, you do not have to make a competition between Macintosh, Windows, and Linux powered PC. 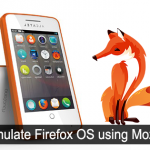 As you know, a majority of web browsers and software have support for both of these operating systems and the compatibility issue is out of the question. You can say MacBooks are good as they are less vulnerable and offer Apple’s exclusive features like iTunes and iCloud. Nevertheless, you should also consider that there are many alternatives for these services as well as free antivirus software available for Windows-based PCs. We have seen many users, who require one or two times of ‘actual’ requirement of RAM. There is a serious fact that extra RAM is a waste of money unless you are a professional video editor or a crazy gamer. 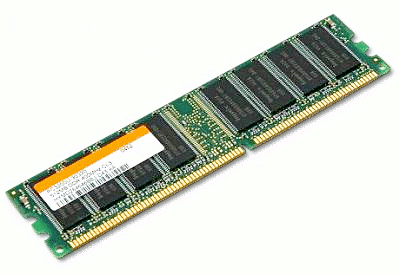 Some manufacturers have also found that 4 GB or 3 GB of RAM is simple enough for a typical Laptop user. You should also consider the bad effect of more RAM that it may drain your notebook’s battery. It is sure that your battery will go empty much fastly if you are using an 8 GB of RAM instead of a 3 GB one. Choosing one among 32 or 64 bit Operating System is hardly connected to your RAM requirement and your processor. As specified in the previous factor, if you are a video editor or a gamer and requires RAM larger than 4GB, you should choose a 64 Bit OS because a 32-Bit version of Microsoft Windows cannot use more than 4 GB of Random Access Memory. In addition, for installing a 64-Bit version of OS, your processor should support x64. Even though an x64 version can provide better security and maximum RAM usage, the choice should be based on your requirement because if you have gone wrong, you will face some software compatibility issues. SEE ALSO: Laptops and Ultrabooks – What These Devices Are? Even though we do not expect, use of Hard Drive Storage is much fast on both Notebooks and PCs. Moreover, a good hard drive can provide a good speed as well. You should be careful while purchasing a hard drive because if you select a 5400-RPM hard drive in order to save money, you will have to soon suffer from the slow shutdown and startup processes. It is always wise to get a 7200-RPM hard drive for your notebook. It is always advised to use a Solid State Drive, commonly known as SSD. Check SSD vs HDD for comparison between the two drives. However, SSDs will be expensive than your 7200-RPM hard drive even though it could provide awesome speed for your Notebook. You should also never through away drives that you think are broken before first, asking a company like the Computer Fixperts data recovery to see if they can give you back that lost data. Also pollution matters, a lot, so dispose of such things properly. This may sound wrong if you are an Intel Pentium supporter. It is important to notice that Intel is now using Pentium as a label, where they market low-budget and low-performance processors. Therefore, now it is advisable to purchase a second-generation Intel core like i3, i5 or i7. In addition, these processors would not cost you that much money than Pentium ones. By the way, Intel Processors are for you if you have to do some heavy works. In another hand, in the case of Graphics lovers, it is better to choose an AMD based Processor, as it will provide more graphics processors when watching Blu-Ray movies or high-graphics games. Accelerated Processing Units (APU) in AMD processors also helps to reduce the battery consumption, which is pretty impressive. 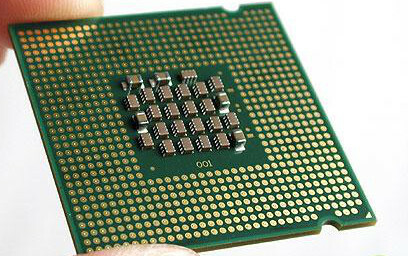 Therefore, the choice of the Processor is dependent on what you do and how you do. There are different choices available to you when looking for a keyboard for a notebook. However, you have to select is cleanly because the worst choice would gift you a worst typing experience. There are some bad keyboards available, which can become useless by a few of your quick hits so you should be careful while choosing one. LED-Backlit keyboards are also available in the market, which is more expensive even though they are pretty useful in some situations. 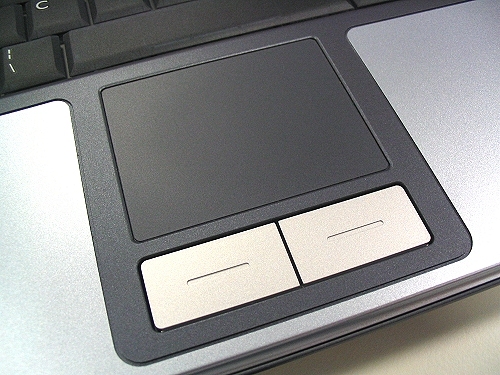 You should choose a touchpad that comprises a good sensitivity and minimum lag when using. As Multi-gestures are becoming popular, it is good to choose a comparatively large touchpad. You can choose either buttonless touchpad or pad with traditional buttons because both of them work fine. Notebooks are available in different sizes, ranging from 13 to 18-inch screens. Different reviews are there for each category. 13-14-inch: These laptops will be weighing around 3.5-4.5 pounds and it is quite easy to handle when compared to high screen sized laptops. 15-inch: This is the most popular screen size among notebooks, which weigh 5 to 6.5 pounds. You can skip the DVD drive if you do not want it and it would increase the weight as well. 17-18 inches: If you want your Notebook to be a powerhouse of your productivity over a desk, this series would be yours. Battery Life should be considered first when you are about to buy a new Notebook. There are various battery lives available for laptops ranging up to 6 hours of battery life. You can listen to user reviews for getting true data about battery life other than the manufacturers offering. Two types of batteries are available in the market; 9 cell battery and 6-cell battery. 9-cell battery will provide 6-7 hours of battery backup whereas the 6 battery one offers only 2.5-3.5 hours of backup. When compared to the situation before two years, the PC gaming aspects have changed a lot and have expanded to Notebooks as well. As you can see in the market, several manufacturers are there with notebooks comprising high-end graphics cards and related features. However, you should be a bit conscious before buying a notebook with the high-end graphics card. There are some services like Onlive, which lets users play high graphics enabled games by making use of Cloud Computing technology. Using such services, anyone can play such games with a decent internet connection. It is sure that the service will be soon expanded in coming years. Therefore, if you are about to buy a costly and power consuming graphics card, you have to think at least twice. It is just a bad mentality that you want all the listed features and the budget should be fit in between few dollars. What people usually do is compromising their requirements and buying a normal notebook in order to save money. Before selecting the notebook and customizing it, make sure that you have enough money with you. If you are that much sad to spend money, you can even try upgrading the laptop instead of buying a new one. Yes! The brand that provides Notebook is a big matter because you are going to get the after sale services from the same company. If you choose a bad brand, you may lack a good technical support if something goes with hardware. You have to consider the user reviews about the brand before choosing it as well as making a small research on the brand. I think there are plenty of laptops available with varying specifications. It is better to buy the laptop that meets your requirement and must ensure that you get good RAM, a quality processor and lot of other features such as screen size, USB ports, service offered by the seller, service centre distance and their reputation etc. Aside from the features, budget, and one’s needs; does the brand should also be taken into account? Yes, check other things as well as brand too. Really informative article! Agree especially with the what you’ve said about Battery Life! Great article! You should also check the battery backup of the laptops. Now a days ultrabooks are available which gives 6 to 7 hours of battery backup which is a very good option. 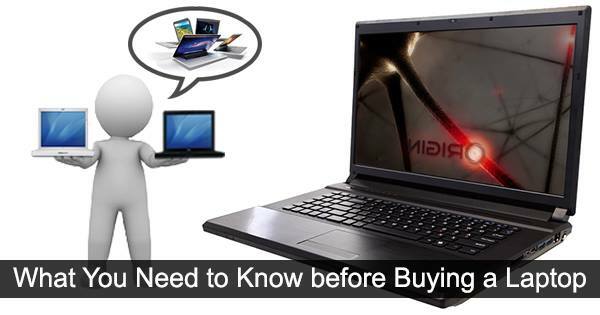 Nice information helps in buying a good Laptop, i think main thing is operating system and memory. Hi Abhijith N Arjunan , It’s great post for me also think all, because i am going to buy a laptop for my graphics work. Can you please suggest me which brand and model i should be buy for graphics work and also need strong battery life. Thank you for sharing, this was very informative because I needed to buy a new laptop. Excellent nuts and bolts article on buying a new laptop. I have spent last 12 hours surfing the net, in a vain effort to find my dream laptop. I wish I had read this article before I hit the e-commerce stores. I don’t know a thing about laptops or what features to look for and this made it super easy! Good stuff, eager to learn much more about laptops before buying one for myself. I would like to purchase a very good laptop. My price range is between $1,000 and $1500. Which model would you recommend? It’s would really helpful if I was finding this kind of advice. Thank you so much for the insights, it’s excellent for a buyer to know what should be done before buying a laptop, was very much useful and informatic one. Thanks a lot. This is a very informative post to everyone. Thanks, for sharing helpful post on your blog. Thanks for this awesome article it really helps me to buy a new and better laptop. Thanks for sharing.